So, before we came here I didn’t even know plantains existed,(so you can see that I didn’t know plantain chips existed). So What is a Plantain Anyway? Well it’s a banana-like… thing, vegetable or fruit, I don’t know, Its starchy like a potato and sweet like a banana! Pretty interesting. Here there are about 3 main brands, my fave is Platanitos, translation : little plantains. They come plain, sweet and lemon, my fave is lemon! They’re a little strong for chica, but she likes to lick them (I don’t eat them after). Thanks guys! I sure eat a lot of them! Hey Drew! What a happy surprise! I just decided to check your blog today- sorry I haven’t seen it before now! When you and your parents come to visit the next time, let us know so we can get together! You picked a good topic for me . 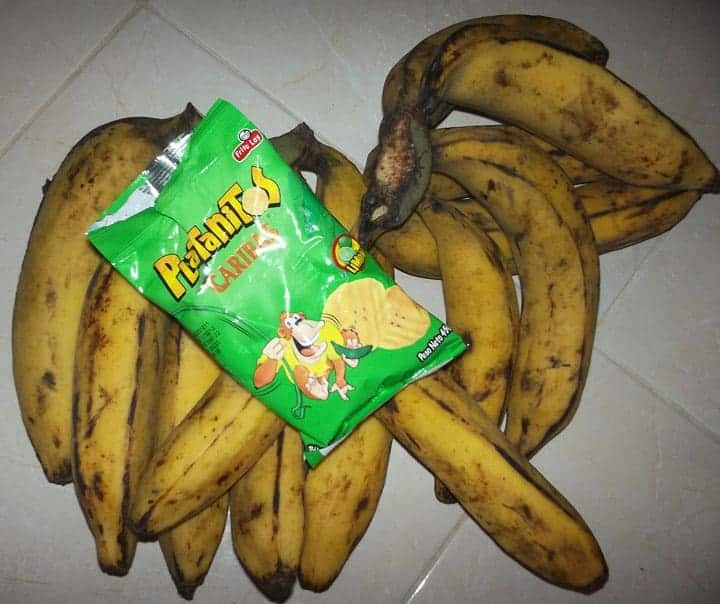 Food is always of interest to me and plantain chips are very good. Your Dad does an awesome job of frying up plantain too. Chica is looking good too. I don’t think I would eat her leftovers either. Ya, if I ate them after Chica licked them, well that would just be GROSS! Next: Are Taxis Overcharging Gringos in Cuenca?